His company Exbio Praha developed a remedy increasing the probability of artificial insemination from 29% up to 70%. The pharmaceutical is in great demand both by Czech and international clinics. PPF bank’s CEO announced an increase of last year’s net profit to CZK 102.8 million, while profit from its own activities increased by 68% annually. The success is due mainly to operational restructuring – the bank now focuses on the financing of cities, banks, and mid-size to large companies. Y Soft business partner announced that the IT company would leave the Technical University in Brno’s “technological incubator” as the first success story. Thanks to the incubator, it was possible to increase the firm’s turnover within a year – from CZK 3.5 million to 17 million. The number of employees also rose from four to sixteen. The mayor of Prague 5 faces a police investigation for causing the town hall the loss of CZK 1.5 million in interest. He transferred CZK 233 milliion of city money into escrow for purchase of certain Czech railways estate at Smíchov. However, he allegedly knew that the land was never meant for sale. The daily Mladá fronta Dnes revealed that the former general manager of Aero Vodochody is being investigated at the moment for allegedly causing about CZK 2.4 billion in financial damages to the airplane manufacturer. The former deputy of the minister of finance legally earned CZK 24 million on a legal loophole. He represented the ministry in the ČEZ’s supervisory board, which provided him with an option to purchase shares at 80 crowns each. After he left the state position, he bought 150,000 of ČEZ shares, then sold 80,000 of them at a five-fold profit. IT’S BEEN ALMOST a year since Tomáš Prouza (32), known to the public as the former director of the information portal www.penize.cz, became deputy finance minister. 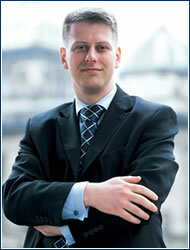 Minister Sobotka chose this young non-partisan with practical experience for clear reasons. He wanted someone younger to come in from outside and enliven the office. “The emphasis used to be on stabilizing the sector, but development continued and no one was dealing with consumer protection, or even the active functioning of financial market supervision. It’s not enough to write laws but neglect practice,” explains Prouza, who can’t keep from grinning as he recalls his first days in state administration. “People don’t have names in the bureaucracy, just numbers. I’m Deputy 07 – a sort of James Bond Jr.,” chuckles this charming man. It took Prouza a long time to get used to the typical mentality of the average state official, who he says “wants mainly peace and quiet and thinks up reasons why something isn’t working”. “But this is slowly changing,” says Prouza, who quickly replaced incompetent directors. He was recently awarded with another competency to his authorities – he is taking over matters of outgoing deputy Zdeněk Hrubý, such as the section for European integration. Despite the great demands on his time, he claims that he enjoys his new work immensely, just as he used to enjoy creating his financial website (2000-2004) and editing The Prague Tribune magazine (1996-2000). This native of Ostrava likes to relax listening to Czech baroque music and he loves traveling, but mostly with his wife Jana, who works in advertising. His fondest dream is to have two children in a few years, a nice apartment with a terrace in Břevnov, and an interesting job. IN FEBRUARY one of the most interesting women in Czech top management, Zuzana Řezníčková (45), was named General Director and CEO of Mediatel, following her resignation at the end of last year as vice president for Sales and Marketing at ČSA. She left the airline because of different approaches to proceedings between her and the company’s president, Jaroslav Tvrdík. “My decision wasn’t simple, because I don’t like walking away from unfinished work,” Řezníčková remarks, but adds at once that she’s looking forward to another professional challenge. Under her leadership the publisher of the Yellow Pages will change from a company that until recently has concentrated on selling advertising on paper to one that also uses the Internet. “We have to shift from a narrow view of our product and focus more on our customers, find out what they want and offer it to them quickly,” explains the general director, who plans on strengthening the influence of sales and marketing within the firm so that these departments wind up running operations. 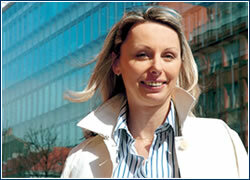 This model has already worked well for Eurotel Praha, where she worked from 1998 to 2003. She sees her stint with Masterfoods as her school of life. Then she started as a sales representative in 1991 and climbed the corporate ladder in seven years to the highest possible rung for a Czech. “I got the best training there. I learned to push the product in a highly competitive environment,” she says, summing it up. When she’s not being competitive, this mother of a 19 year-old son enjoys playing golf – which, however, she says she plays “terribly badly!” While she appears to be a great communicator, she says that she’s really an introvert who most enjoys staying home alone and curling up with a good book.